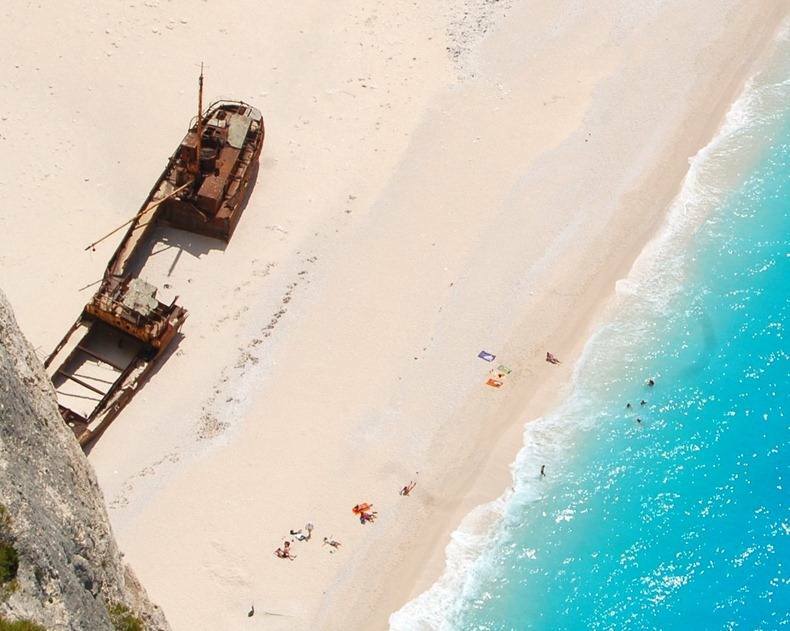 Navagio Beach or the Shipwreck, is an isolated sandy cove on Zakynthos island and one of the most famous and most photographed beaches in Greece. 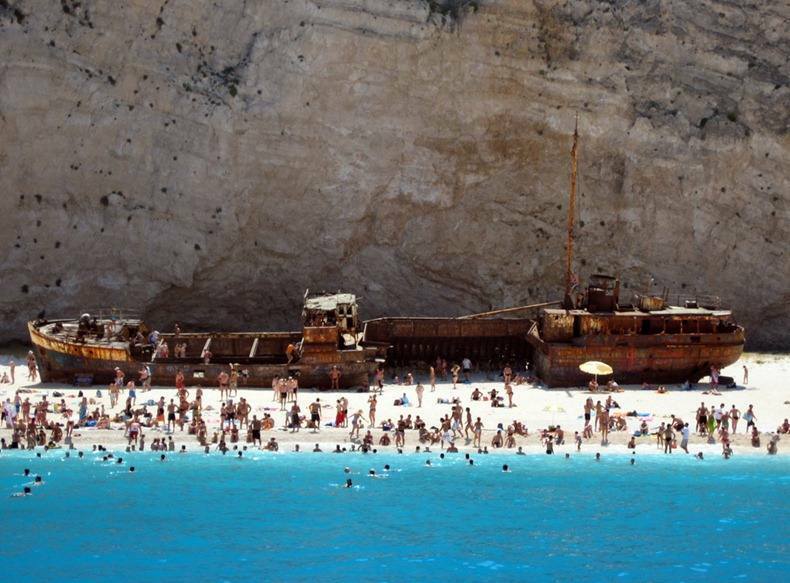 Navagio Beach is often referred to as the Shipwreck Beach or just simply "The Shipwreck" because it is home to the wreck of a ship called Panagiotis that is believed to have been a smugglers ship. 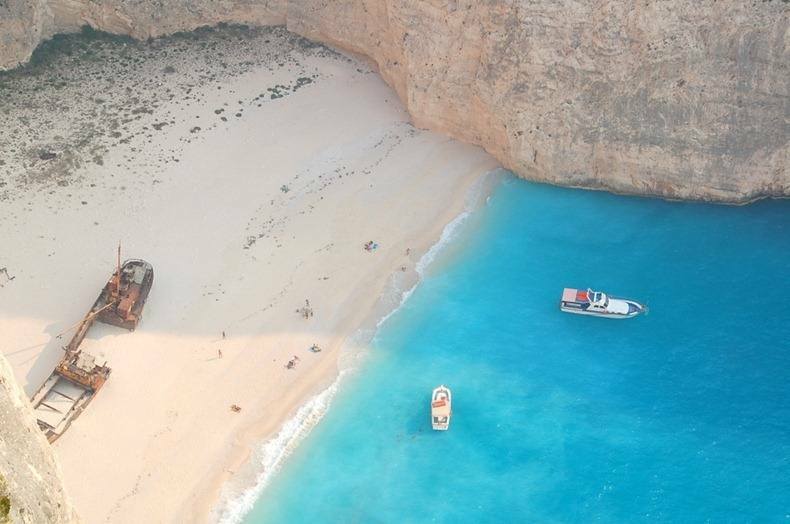 The presence of alleged smugglers ship gave Navagio Beach yet another nick name - Smugglers Cove. 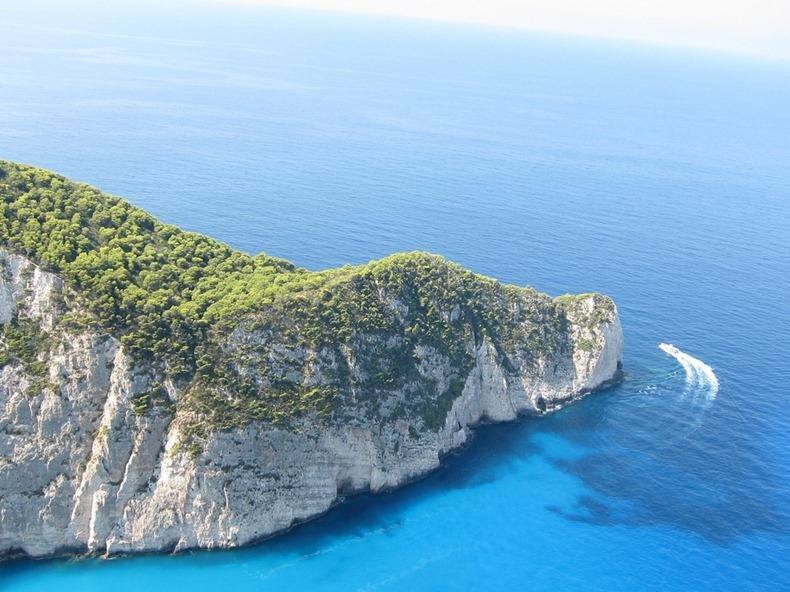 This small and isolated, yet strikingly beautiful sandy cove is located on the north-west shore of Zakynthos Island, near the Anafotiria village, quite opposite of island's capital Zakynthos. 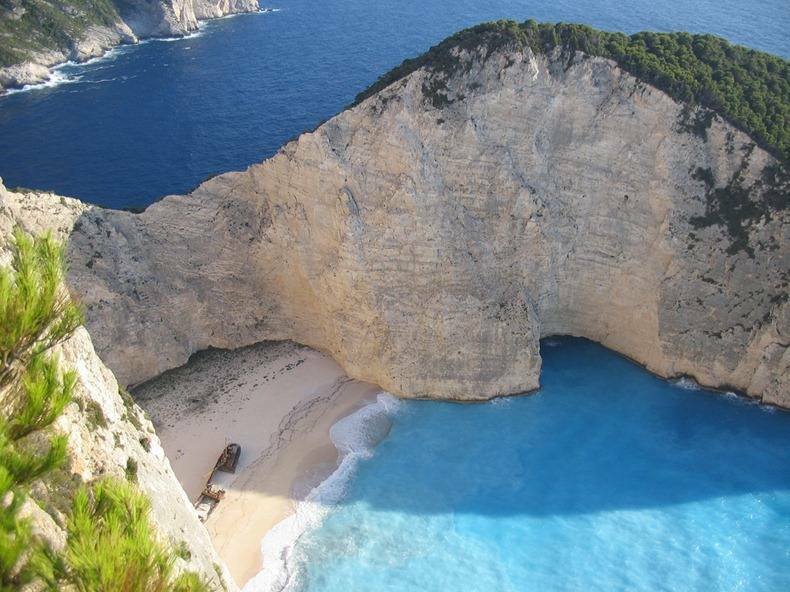 The area is defined by its sheer limestone cliffs, white sand beaches, and clear blue water, which attract thousands of tourists yearly. 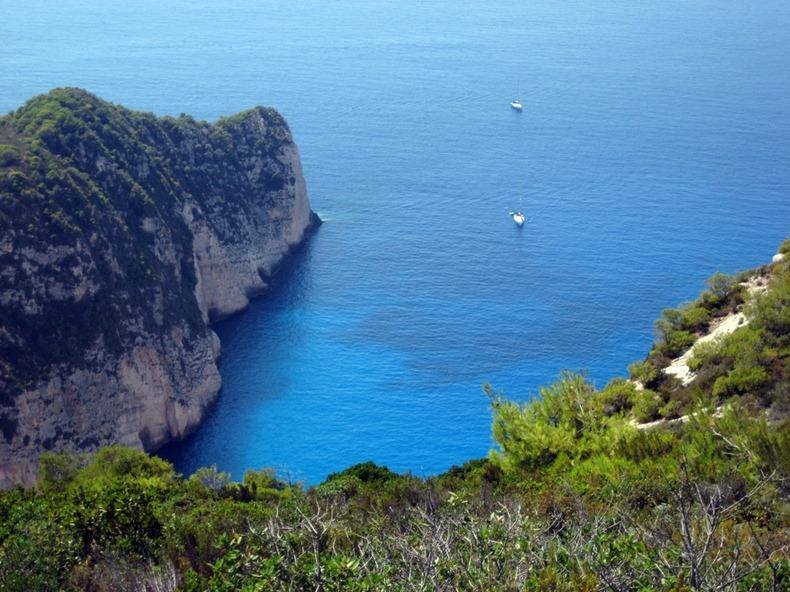 The strip of beach is accessed only by boat, but you can see it from above if you stand on the high side of the cliffs that overlook it. 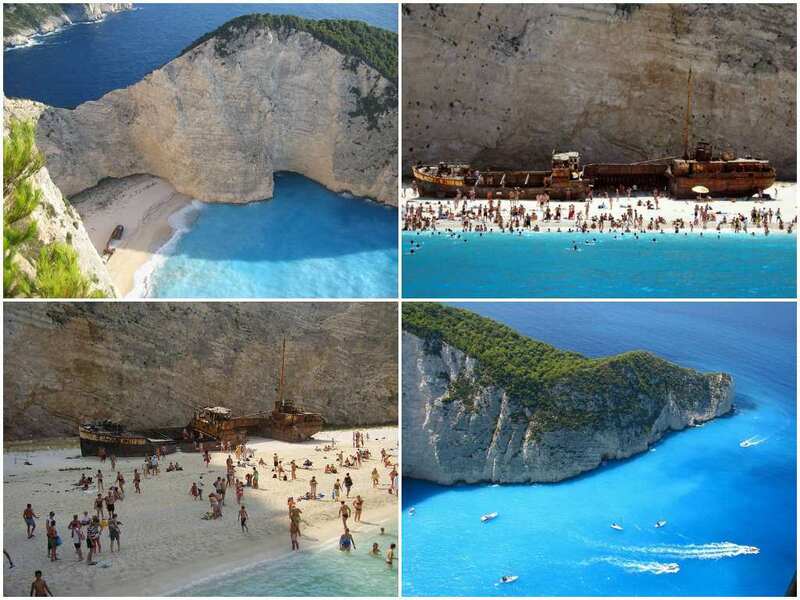 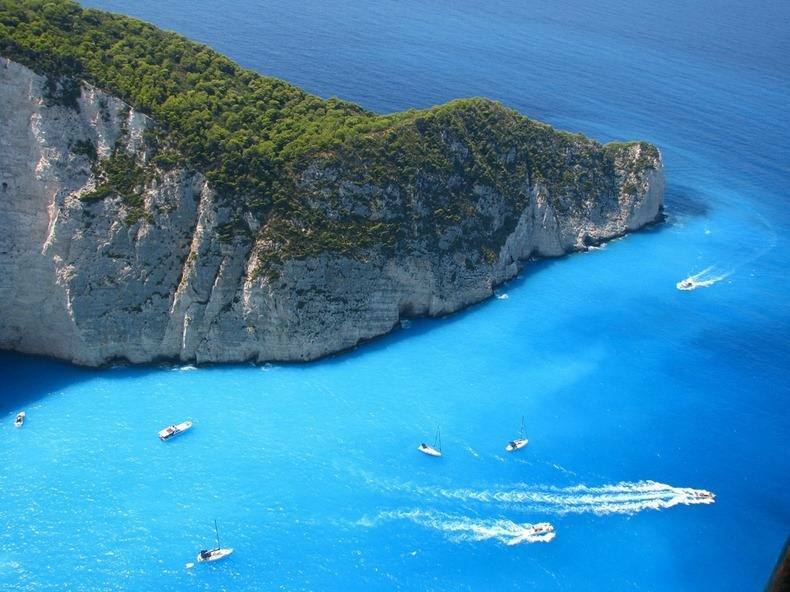 Navagio Beach was originally known as Agios Georgios. 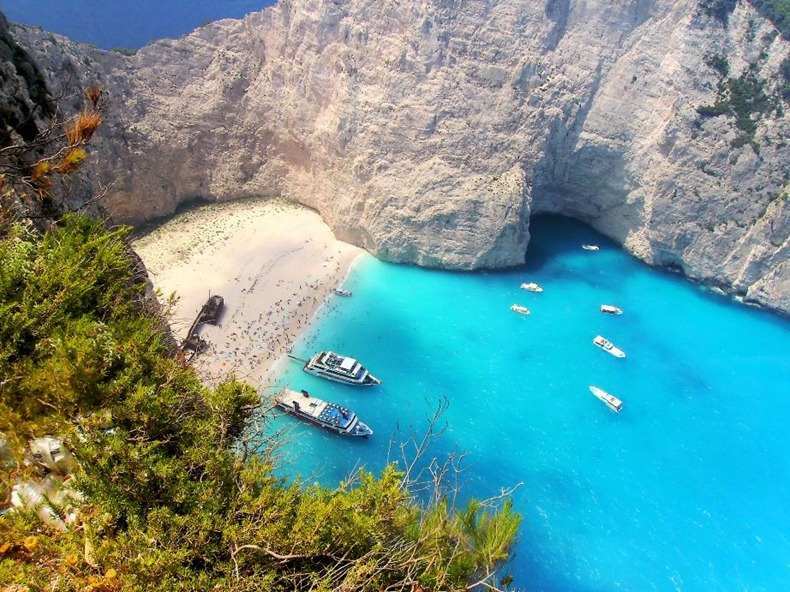 Then sometime in 1981, the Greek authorities were tipped that a freightliner in the waters around Zakynthos Island is smuggling contraband which included cigarettes, wine and women, and a chase began. 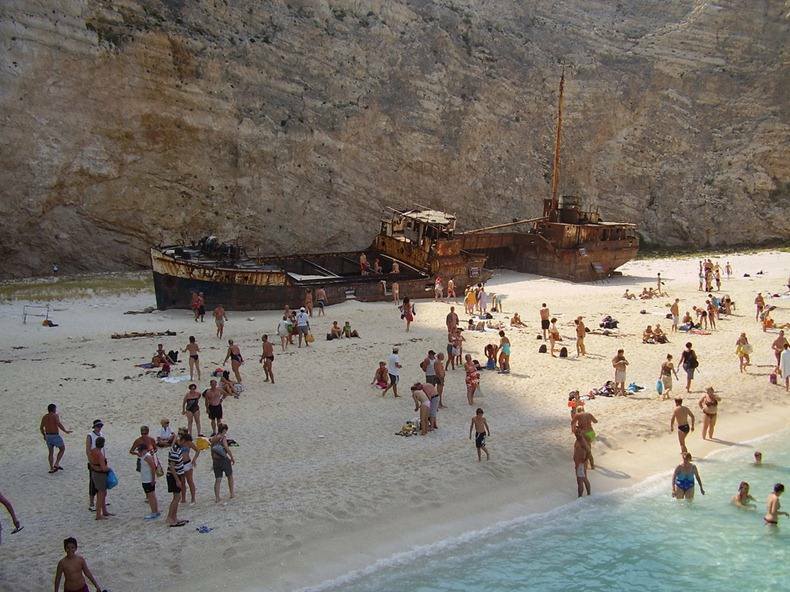 Stormy weather and bad visibility resulted in the ship running aground right on Navagio Beach. 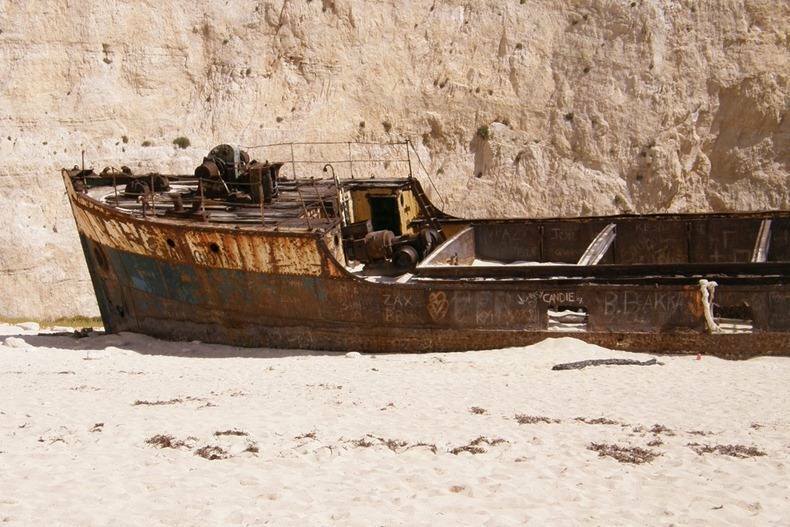 The ship was abandoned and still rests buried in white sandy dunes of the beach that now bears the nickname Shipwreck.